I like Project Life because it provides a simple way to document our family’s everyday stories. It also provides an easy way to get photos of events and milestones that happen throughout the year, off my computer and into an album. I tell our family stories from my perspective but this year I am hoping to get my husband and my 5yo to contribute their own journaling a few times too. For me, its so important to capture the everyday quirky things that are unique to my family. These are the things that we all forget but want to remember as we grow older. Through memory-keeping we have a way to look back at the way we were when…and I can almost guarantee that future generations, even if its just your kids, will be grateful to you for it. The Project Life system is set up to be pretty simple. 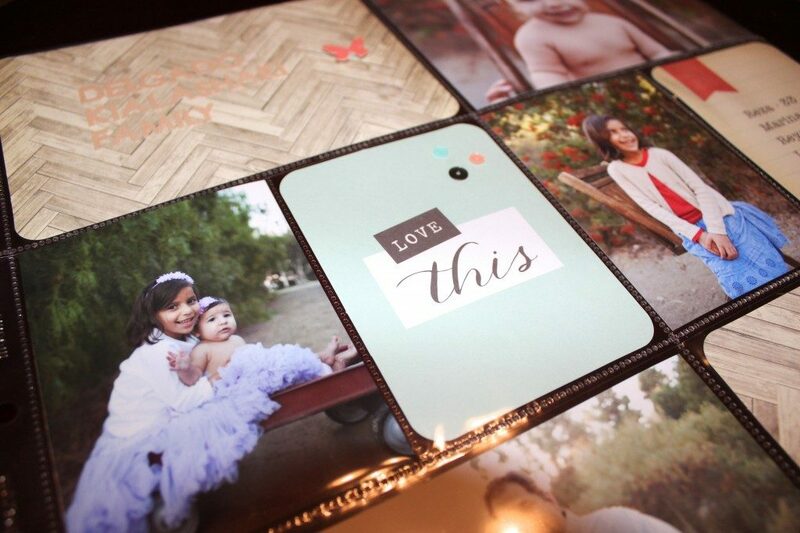 Photos and journaling cards that you slip into pocketed page protectors within an album. 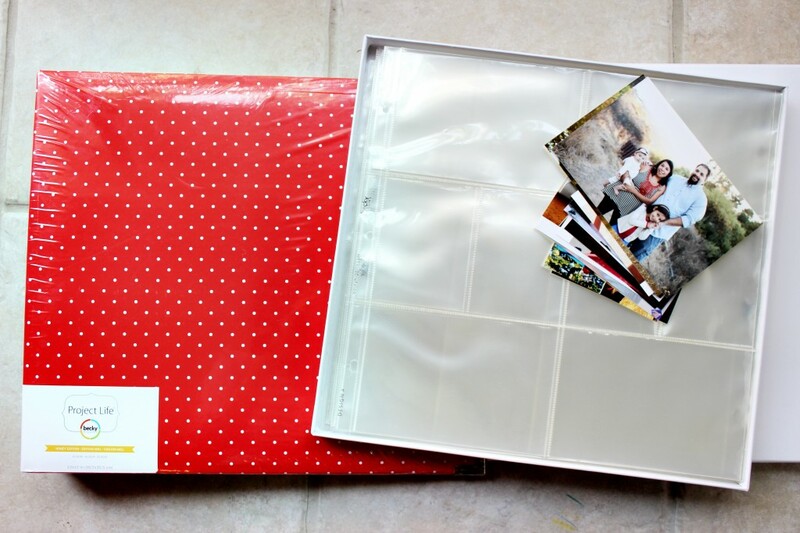 In its basic form Project Life is a great introduction to memory keeping for those people who may be intimated by traditional scrapbooking. Becky Higgins, the creator of Project Life, works with many well known designers to create core and mini kits. 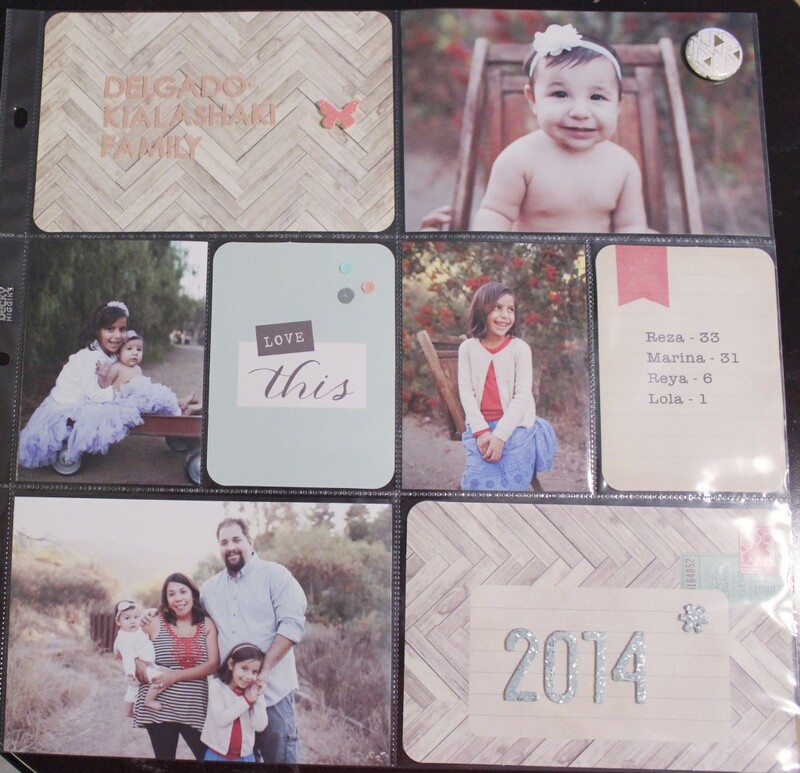 These kits provide a huge number of journaling and decorative cards which you can use to create your album. You can of course, dress up your pages and cards a bit more using scrapbook embellishments but beware if you’re just getting started, this can lead you down a dark road to pages that may take hours to complete…believe me I know. To simplify things for myself and hopefully reach my goal of completing a full year, I will not be purchasing any core kits and will instead use cards from a variety of manufacturers that I already have on hand. This includes Project Life Dear Lizzy Polka Dot Party Mini Kit, Project Life Maggie Holmes Flea Market Mini Kit, Project Life Holidays Mini Kit, Studio Calico Marks & Co Project Life Kit, We R Memory Keepers Albums Made Easy Captured Die-cut Cards, We R Memory Keepers Albums Made Easy Simply Happy Journaling Cards, We R Memory Keepers Albums Made Easy Banner Days Journaling Cards, as well as some digital cards I printed years ago. I have also decided that I will not be rounding the corners of my photos (gasp!). I’ve put all my cards into a drawer organizer I purchased a while ago. 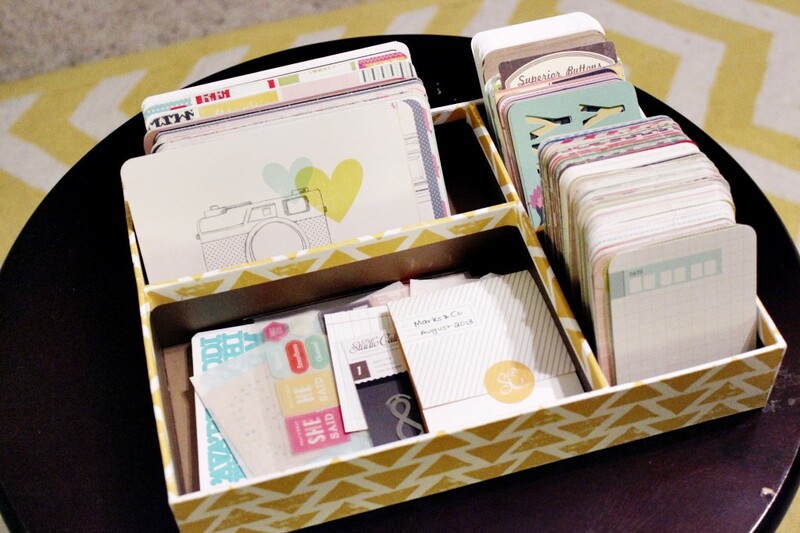 The organizer is from Nate Berkus for Target. I like how easy it is to flip through the cards to find something I like. Also since its so small its easy to move around the house so that I can work on my pages anywhere.The bottom left compartment is currently holidng the Marks & Co Studio Calico Project Life kit but I plan to use it for adhesive, embellishments, journaling pens and a place to keep memorabilia. In the past, with Project Life, I’ve tried creating weekly layouts, bi-weekly layouts, or monthly layouts but no matter what I tried I was not able to get past that mid-year point in my Project Life album. So this year time constrained layouts are out the window. I’ll be going a new route and inserting photos and journaling cards right into my album on a daily basis just as stories and events are happening. When I have time I can go back and embellish if I so desire but at minimum the photo and story will be there. This experimental process will require a couple things: 1) that I leave my album out, so I’ve set it up on a mini table in our office/craft room near to all my supplies; 2) I will have to print pictures right off my phone or immediately upon uploading pictures from my DSLR. I’ll use January and February to assess this system and see if its working for me or not. Since this is a year-long project there is plenty of time to make adjustments. For now here is my 2014 Title Page. I used cards from the Project Life Maggie Holmes Flea Market Mini Kit. The stickers for our family name are from Prima and the 2014 are thickers from the American Crafts Dear Lizzy Lucky Charm Collection. The pictures are from our family photo shoot in November. (Thanks again to Miranda D Photography for capturing our family!) I haven’t yet decided on a specific schedule of when I’ll be doing Project Life updates here on the blog but be sure to keep your ear to the ground (that’s not right is it?) for updates here. Looks like this Project Life system could work for me. I am a beginner at scrapbooking and I need simple. I go into various craft stores and my head spins with so many different products to choose from. I want to buy everything, so I need focus. I’m enjoying your blog and what a beautiful family picture. Thanks for reading! Yes Project Life does provide a simple format to get started with. I’ll continue to share Project Life spreads throughout the year. Thanks for reading! I’d like to join you on this jorney. 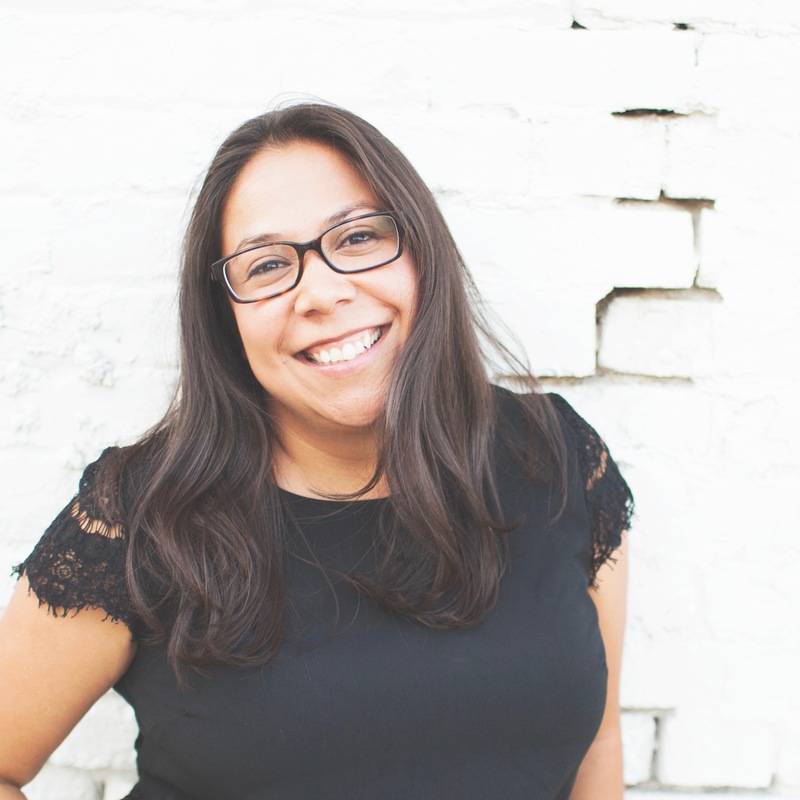 I have about 4 projects that I either did not finish or… Have not even started (like my second wedding photo album – wedding that took place 3.5 years ago!). We’d love to have others join in on the fun. Possibly share your unfinished projects and we can help to motivate each other? Thanks for reading! Loving seeing your process, friend! Great plan and a lovely family! looking fwd to seeing your album expand.